Black and white image of three men in white laboratory jackets standing near a desk. 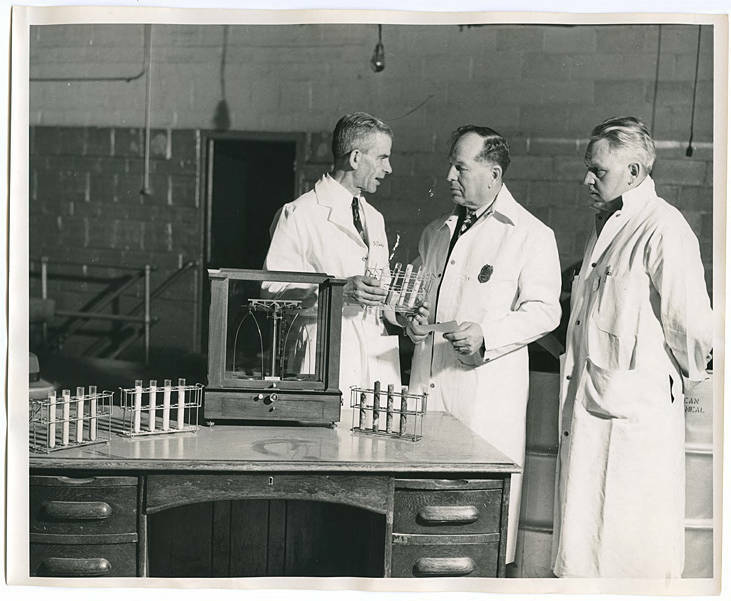 One man holds a rack of test tubes and appears to be explaining something about their contents to the other two men. On the desk, three more racks of test tubes sit, along with a metal chemical balance scale in a wooden case. Steel drums are just visible behind the men. Though perhaps better known today for their cornmeal and grits, museum records identify this Albers Mill, located in Hillsboro, as a manufacturer of Friskies canned pet foods. [back] [pen] Oregonian used. 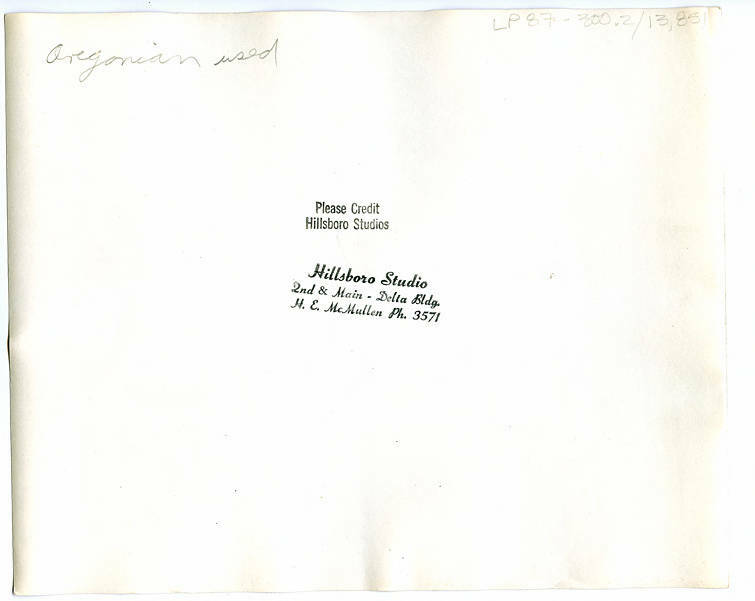 [stamp] Please Credit Hillsboro Studios. Hillsboro Studio, 2nd & Main, Delta Bldg. H. E. McMullen, Ph. 3571.